2016: Missy Keating, pictured with mum Yvonne Connolly, now has her sights set on a Hollywood career. Photo: Kieran Harnett. Killer style clearly runs in the family. Missy Keating (16) seems to have inherited her mother Yvonne Connolly's model confidence as she took centre stage at Thursday night's Miss Universe Ireland pageant. 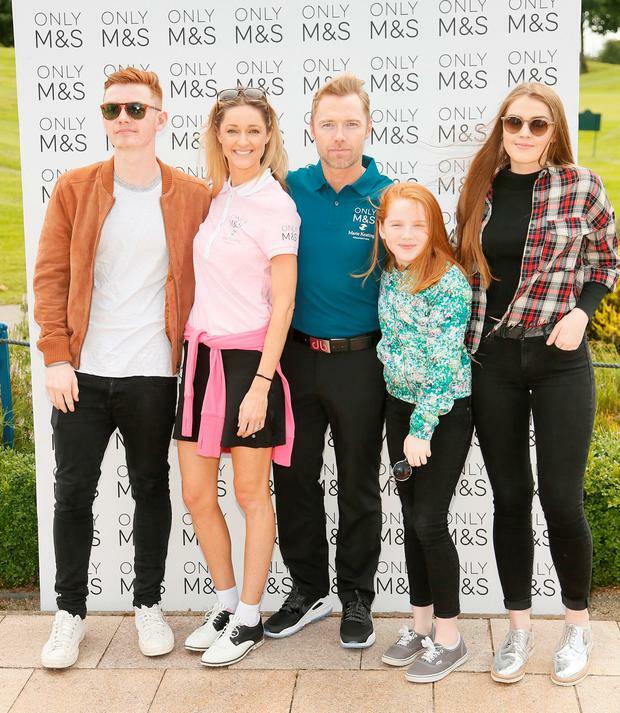 Missy, who is the eldest daughter of Yvonne and ex-husband Ronan Keating, was dressed to impress in a rouched LBD with caged heels as she came out to support her cousin competing at the event. She is no stranger to red carpet events, but usually attends alongside one of her famous parents. Jill Connolly was representing Dublin at last night's competition, which saw 23-year-old Miss Cork Cailín Áine Ní Toibín take home the crown. Despite her young age, Missy has already become something of a social media sensation, with nearly 20,000 followers on Instagram documenting her envious lifestyle - filled with luxury holidays and insight into her unique family life. She has just returned from trips to Greece and New York and recently, has been sharing sweet photos with her new little brother Cooper which Ronan welcomed with wife Storm in May. The former Boyzone member married at the luxurious Archerfield House in East Lothian, Scotland, on August 17 2015, with the blessing of all his children, who played best man and bridesmaids. "It feels like we were always meant to be together," Ronan told Hello! at the time. Speaking about his children, he added: "They can see how happy I am. And it's about making them know they are loved." Storm added: "It makes me very proud when I refer to 'my husband'. And for the kids, too. "I'm sure it gives them more security knowing that we're officially a family now and I'm not someone who may one day walk out of their lives."